Let’s begin with a major assertion: Writers are magicians. Sylvia Plath was an excellent example. They’re able to look into the ether and pick vibrant red scarves from it. They can turn mud puddles into Scottish lochs, and find the connective tissue between an episode of Blue’s Clues and Joyce’s Ulysses. Yet, also like magicians, writers use sleight of hand, and a good writer can pull off some crafty optical illusions. But what happens when the trick doesn’t work? When the audience can clearly see that the penny has been in their left hand the whole time? For years, writers have struggled to make the magic happen. 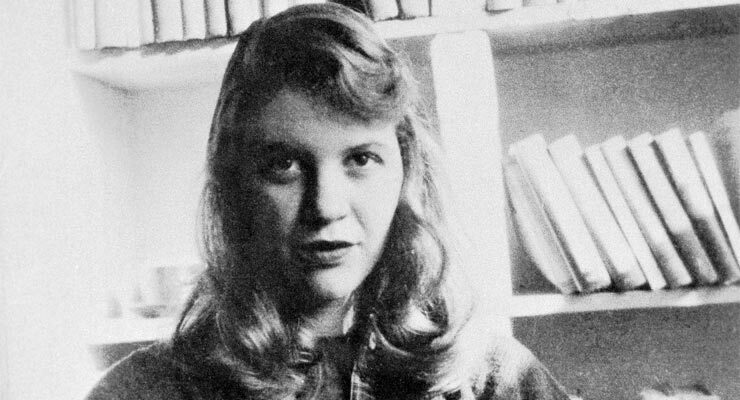 Each individual hones their craft in their own way, and widely beloved poet and novelist Sylvia Plath certainly had hers: she turned to magick when the magic ran dry. And she had the right idea. Plath’s involvement with occultism has been widely disputed by scholars. Some believe that there is no written evidence that the poet ever dealt with the netherworld, while others say that she’s rumored to have burned her ex-husband’s (Ted Hughes) collected fingernails and hair while chanting after he left her for his mistress. However, there’s hard evidence that Plath, under the suggestion of Hughes, used a makeshift ouija board to tap into the collective unconsciousness. This idea was originally taken from William Butler Yeats, an initiate of the Hermetic Order of the Golden Dawn, and a major proponent of the idea of a Spiritus Mundi, or collective soul of the universe. All three poets knew that their art meant that they must be able to access pure being, or a completely uninfluenced and meditative state of mind. Through the ouija board (made from a tipped wine glass), Plath met Pan, her spiritual guide. Pan stroked the poet’s ego and also predicted her future publisher. He was essentially her personal Casper the Friendly Ghost, ready to cheer her into poetic victory. But, in actuality, the ouija board is a very powerful tool for a writer. Personally, I believe that these little chunks of Hasbro cardboard do have the ability to contact the spirit realm. So much so, in fact, that I wouldn’t be caught dead with my hand on a planchette, even if it means no Pulitzer for me! When Plath contacted Pan, there’s the very real possibility that she was actually contacting her own unconscious. In the hustle and bustle of our daily lives, it can be easy to feel disconnected from ourselves. Even our view of the sky outside can be muddled with the influx of news and media around us. Top all of this off with Plath’s very severe neuroticism, and you have a very uncentered writer. The board allowed Plath to shut down her exterior voices so that she might better listen to the interior ones. Scientifically, this is called the ideomotor effect. It allows for one’s caged subconscious to take a joyride, unbeknownst to the mind’s driver. The old god, too, writes aureate poetry. Whatever spirit emerged from her upturned wine glass, be it Pan or Plath, spilled golden poems from her fingers. If you find yourself with no more tricks up your sleeve, it might do you well to take yet another lesson from Sylvia Plath. Try a night of fun with ouija. Who knows? Maybe your spirit guide will show you to your next masterpiece.